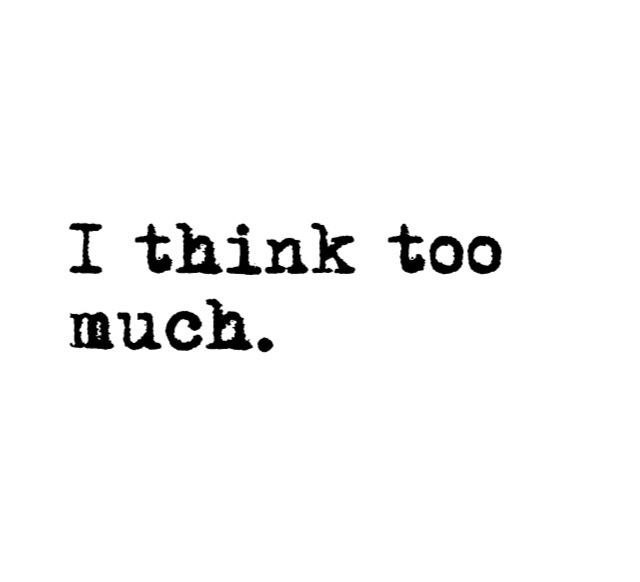 I think too much. And it’s tiring me. I over-think things that are simply not worth my time. My head gets filled with negativity and I end up messing things up, making the wrong choices. The thinking just leads to worrying and then I’m faced with a new problem. A problem that I’ve created that wasn’t even there in the first place. Oh Mind, why do you do this? Please stop, thank you. I do this too. I think it’s normal. Everyone can overthink things. I do this too! All the time! try using affirmations when you get into negative thinking. The mind gets frustrated and moves to another channel. I over-think a lot of things too. .-. I do the same and I feel like it is slowly driving me insane. For example after each word I say I freak out in my mind if I should not have said it and if the person I talked to hates me now.